General Terms and Conditions (AGB): Please see our terms and conditions page. Payment information is available on request. Please send an email to sales@egenix.com. (c) Copyright 2000-2018 by eGenix.com Software, Skills and Services. All Rights Reserved. Please see our terms and conditions page for our general terms and conditions (AGB), disclaimers, copyright and web-site usage conditions. 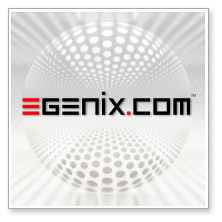 Please see our trademarks page for details on eGenix.com trademarks and third-party trademarks. This key is used to sign our distribution files. It has the key ID 83AE1C24 and fingerprint DDAE 55FC 389C 5089 00FB E403 6B44 DC70 83AE 1C24. This key is used to sign our license files. It has the key ID 8C25C2A2 and fingerprint 2E1B D691 A231 E09B CEF5 C9D5 C792 13DD 8C25 C2A2.